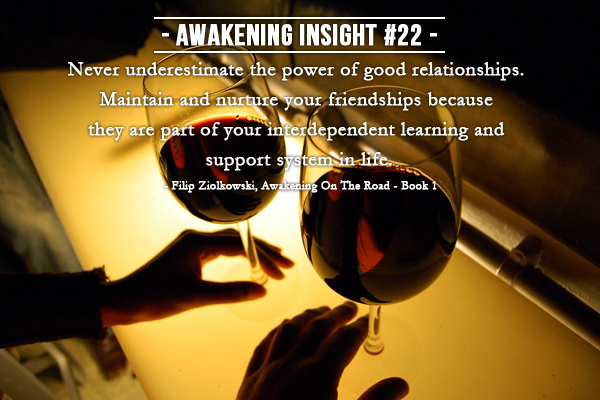 AWAKENING INSIGHT #22 Never underestimate the power of good relationships. 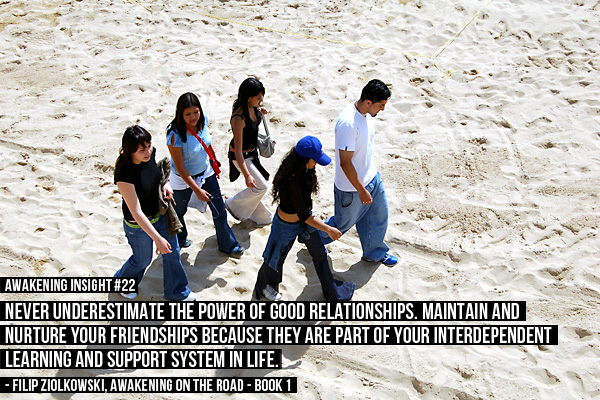 Maintain and nurture your friendships because they are part of your interdependent learning and support system in life. Never underestimate the power of good relationships. Maintain and nurture your friendships because they are part of your interdependent learning and support system in life.